Join Flat Track Canada and Inside Motorcycles as we celebrate the start of the 2017 Flat Track Canada national racing season on Saturday, May 13 at Barangas on the Beach on the shores of Lake Ontario in Hamilton, ON! Come and hang out for a few hours beachside! See new 2017 motorcycles and race bikes on display, mingle with racers and fellow enthusiasts, check out our video and photo displays, and take in the waterfront view as we stir up some excitement for 2017's nine-race national championship series. EXCELLENT FOOD AND BEVERAGES AVAILABLE! VENDORS, NEW MODELS, RACE BIKES, PHOTO AND VIDEO DISPLAYS! *Paid parking across from venue - refundable with food or drink purchase. Free parking located in nearby municipal lots north and south of venue. Free bike parking available on site. Grab some friends and ride into Hamilton. Priority parking for motorcycles is available at the venue! 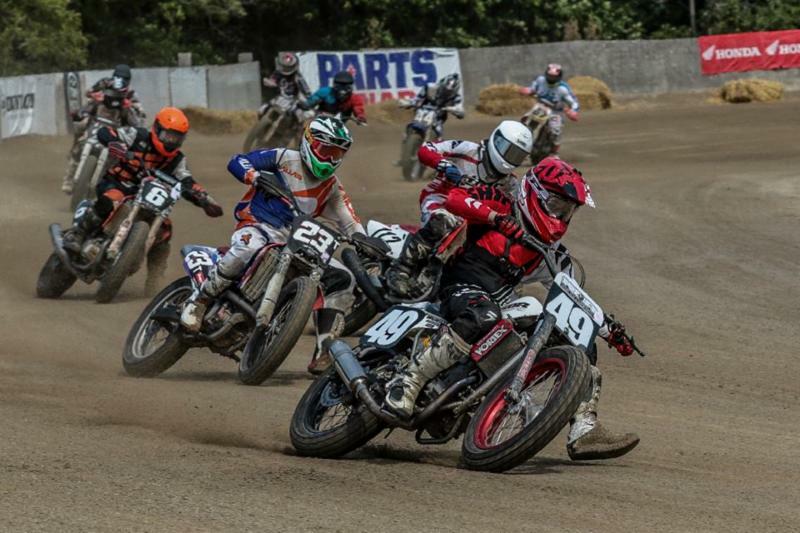 Find out about races in your area, sign up for a race school, check out the race bikes or just learn more about one of North America's fastest-rising motorsports! Harley-Davidson Canada will bring its Jumpstart program, which allows anyone to twist the throttle and run through the gears on a stationary Harley-Davidson Street 750! Barangas has a reputation for good food to go with the atmosphere. Come hungry! Snag a free copy of the latest issue, plus the first 100 people to drop by the booth and say "Flat Track Canada rocks!" will receive a FREE, no-strings-attached, 6-month subscription to Inside Motorcycles! 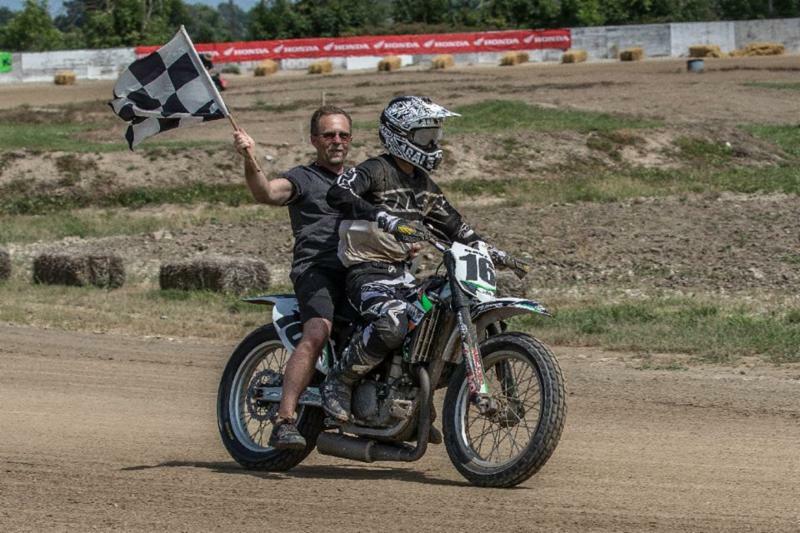 About Flat Track Canada: The mission of Flat Track Canada is to promote and build awareness of flat track motorcycle racing in Canada and rebuild the former glory of the sport; to captivate an audience in such a way that they become true, dedicated race fans. In 2017 the organization will run a nine-race national Canadian championship series and also sanction provincial series in five provinces. 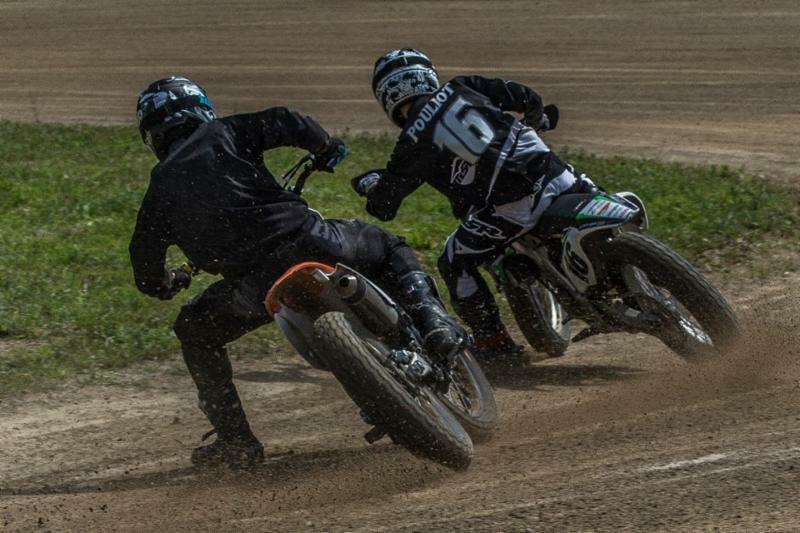 Visit www.flattrackcanada.com for more info. About Inside Motorcycles: Published 10 times per year, Inside Motorcycles is a Canadian motorcycle magazine based in Toronto, ON. Since 1998, Inside Motorcycles has been bringing readers across the country a Canadian perspective on motorcycling. Coverage includes new models tests, Canadian racing, touring, adventure riding, vintage motorcycles, spotlights and lifestyle pieces. Inside Motorcycles celebrates its 20th anniversary in 2018. For more information, visit www.insidemotorcycles.com. Ohsweken Admission Just $10 With A Valid M License Tonight! @OhswekenSpdway • #motorcycle • OHSWEKEN, ON – Ohsweken Speedway’s 21st season of racing continues this Friday, August 26 when Durnin Motors presents Motorcycle Night, and the rescheduled Art Hill Memorial 42. 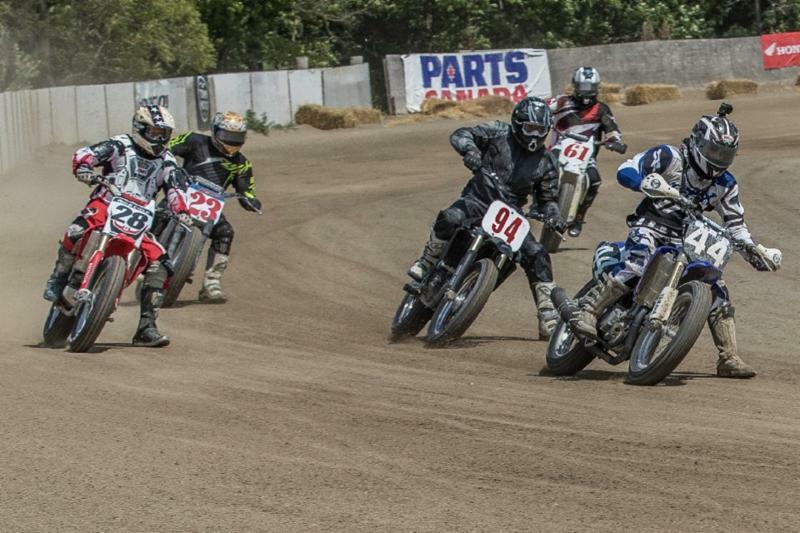 Photo Gallery: Flat Track Canada @ Flamboro Downs! Better late than never, they say. 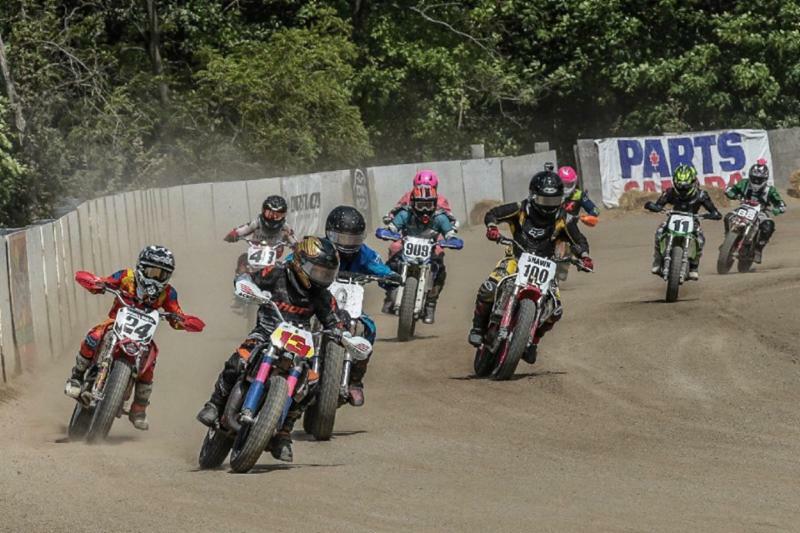 On that note, here are our photos from the Flat Track Canada round held at Flamboro Downs racetrack outside of Hamilton, ON on Saturday, August 6. Enjoy and share around! SPRINGFIELD, IL. (May 29, 2016) - Bryan Smith proved his dominance at the Springfield Mile I on Sunday, taking home his third consecutive Mile victory of the 2016 AMA Pro Flat Track season. This Mile win didn't come as easily, as the Michigan native had to fight to the finish with a pack of riders every lap, topping second place finisher No. 1 Jared Mees by a margin of 0.119 of a second at the conclusion of the race. Three-time and reigning Grand National Champion Mees expressed his desire to win the coming races over the "Mile Specialist" but shared his appreciation for the bar-to-bar racing that went down during Sunday's race. "It's definitely getting old finishing second on the Miles to the same guy," Mees said. "But hats off to those guys. They're working hard and that thing is fast. It's hard to get it before the finish line but the team is working really hard and we're trying to find more and more power and reliability. I felt like we had a little bit more than last year but you know, it is Mile racing at its best and a close finish is normal at the Springfield Mile." "It feels really good," Baker said. "I've had the speed the last three races or so but it feels good to be here on the podium. It was a really fun race and the end of the race was an all-out battle." 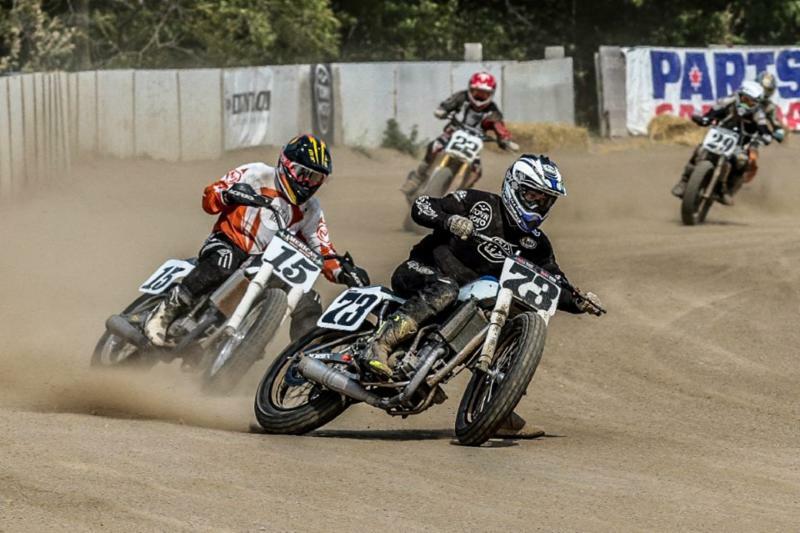 Up next, 20 of the top AMA Pro Flat Track riders head to ESPN's Summer X Games in Austin, Texas for the Harley-Davidson Flat-Track race on Thursday, June 2 at Circuit of The Americas. Be sure to purchase your tickets in advance at http://www.xgames.espn.go.com/xgames or tune in to ESPN on Thursday at 10:00 p.m. ET (7:00 p.m. PT). MILWAUKEE (May 26, 2016) – @harleydavidson // A new-generation Harley-Davidson® flat-track motorcycle is ready to race. The Harley-Davidson® Screamin’ Eagle® Factory Team is unleashing the XG750R, its first all-new flat track race bike in 44 years, to battle in fierce, adrenaline-filled competition on dirt ovals across the U.S. The XG750R will make its official competition debut Sunday, May 29, at the AMA Pro Flat Track Springfield Mile in Illinois. 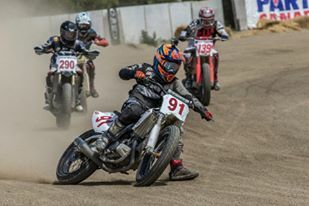 “After decades of flat-track racing success behind the Harley-Davidson XR750 flat track motorcycle, we knew it was time to develop the next-generation Harley-Davidson to compete in one of the best spectator racing sports out there today,” said Kris Schoonover, Harley-Davidson racing manager. Fisher, in his first season racing with the Harley-Davidson Screamin’ Eagle Factory Team and a rookie on the GNC1 series, will be the first racer aboard the XG750R. 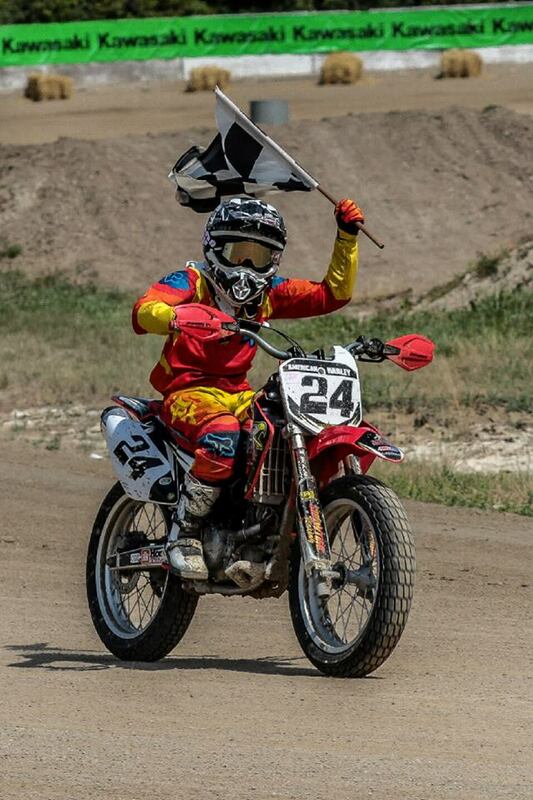 The 18-year-old racer from Warren, Ore., won the 2015 AMA Pro GNC2 championship. The 2016 AMA Pro Flat Track Grand National Championsip season got underway at the Daytona Flat Track with a doubleheader on March 10-11. Among the 50-plus riders in GNC1 and the 80-plus in GNC2, six Canadians were on hand to try their luck on the slick short track. 2016 AMA Pro Flat Track Season Starts This Weekend in DAYTONA! Catch it on Fanschoice.tv! DAYTONA BEACH, Fla. (Mar. 9, 2016) - The 2016 AMA Pro Flat Tack racing season kicks-off this week on the DAYTONA Flat Track at Daytona International Speedway (DIS) where rounds one and two of the Harley-Davidson GNC1 presented by Vance & Hines and the GNC2 classes will take place this Thursday and Friday, March 10 - 11. Hosting the season-opening event for the seventh consecutive year, the DAYTONA Flat Track is located just outside of DIS's Turn 1 and 2 West banking, and AMA Pro Flat Track riders will race there for the first time under the impressive backdrop of the recently completed "Daytona Rising" Motorsports Stadium. "I can't wait to get out there and compete," Mees said. "It's been a productive off season for me and I just really want to get back into competition and start off this season on the right foot. There are a lot of great riders in GNC1 and I know it's going to be another grind this year. It's what I live for and I'm just so excited for Daytona." "It was really bittersweet for me last year to come up just shy of winning the championship for the second-straight year," Smith said. "It really fired me up this offseason, I've trained way harder and I'm even hungrier for 2016. I never stopped training since our final race in Las Vegas all the way up until now. I think I will be physically and mentally better this season." Joining Coolbeth as former DAYTONA GNC1 winners that could make it to victory lane again this week are Briar Bauman (No. 14 Honda CRF450R), Sammy Halbert (No. 69 Yamaha YZ450F), Johnny Lewis (No. 10 Yamaha YZ450F), Mikey Rush (No. 54 Honda CRF450R), Brandon Robinson (No. 44 Honda CRF450R) and Stevie Bonsey (No. 80 Suzuki RMZ450), who split last year's DAYTONA victories with Coolbeth. A showcase of the nation's up-and-coming riders, GNC2 competition is frequently just as intense as the GNC1 class. The list of riders to keep an eye on includes last year's DAYTONA class winners Andrew Luker and Justin Jones, 2014 DAYTONA victors Ryan Wells and Brandon Wilhelm, and other young talents such as 2015 class runner-up Dan Bromley, Bronson Bauman, Jamison Minor, Brandon Wilhelm, J.R. Addison, Tristan Avery and several others. 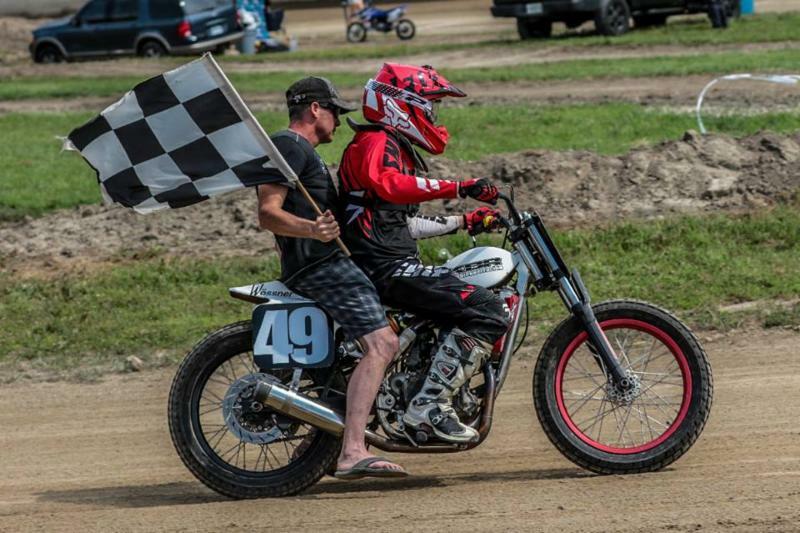 After a pair of successful appearances at AMA Pro Flat Track events last year, the Super Hooligans will make their DAYTONA Flat Track debut as part of this Thursday's schedule of events. A flat track class organized by designer Roland Sands, the Super Hooligans feature big, custom twin-cylinder motorcycles that look like they rolled straight off of Main Street. 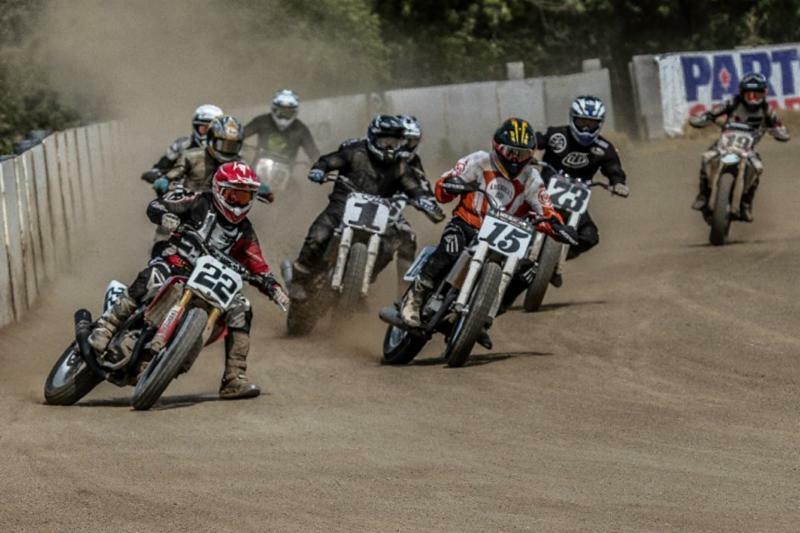 One day after dealing with blazing heat and some great racing, the Flat Track Canada travelling road show was at it once again. Sunday saw the group head to Wheatley to race at the short track on the Erie Ramblers club grounds. Long regarded as one of the most unique and coolest tracks around, the Wheatley track is always fun and Sunday certainly didn't disappoint. After some of them riding 750's the night before, the Experts went to smaller displacement machines for the short track. Although the bikes were smaller the thrills were huge as once again the best riders in Canada put on a great show for the fans. Making a rare appearance on his beautiful 450 framer it was Doug Lawrence, making up for the night before, who came away with the win in Open Expert. Early leader in the race was Chris Evans but unfortunately for Evans he slid out in corner two shortly after Lawrence got by him. Local ace Nick Wenzler had a strong ride through the pack to finish second while new points leader Tyler Seguin took home third. A surprising non-factor in the final was reigning number one Don Taylor who had looked like a man on a mission in his heat race bouncing off the wall on the back straight while going for the win. Rookie Expert Dave Pouliot surprised perhaps everybody except himself in taking the win in Expert DTX. While the others behind him were sliding and bobbing, Pouliot looked smooth and fast on his way to his first Expert victory. Taylor was a factor in this race as he grabbed second while Wenzler was once again in the mix and was able to grab third. Congratulations Dave! Intermediate once again belonged to Brodie Buchan as he grabbed both wins to go four for four on the weekend. Track knowledge, skill, and great starts went a long way for Buchan and he just couldn't be caught. Braden Vallee and Cody Marentette swapped positions from the night before with Vallee grabbing second in both races after having to make up ground from some harrowing starts. The Novice class was dominated for the second day in a row by the trio of Dustin Brown, Trent Pickle and Luke Rahm. Finishing order was the same in both races as Pickle found himself sandwiched between Brown and Rahm on his home track. Boyd Deadman proved to be the master of the light on Sunday grabbing the holeshot in both 85 Youth and Novice 250 action. While unable to hold the lead until the end in both races, Deadman did have a couple of great rides to finish second to Hunter Bauer with Jimmy McCullough rounding out the top three. VET action saw Steve Ball, winner from the night before, take a hard tumble in turn three after making contact with Rob Churchill. With Ball out of commission, Churchill was able to grab the checkers ahead of Dan Doreen and Windsor firefighter Paul Renaud. A special thanks to all the Erie Ramblers and Flat Track Canada crew for putting on such a great weekend in such extreme temperatures. Bravo ! Photos Courtesy of David Dudley. 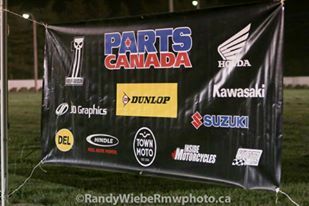 Flat Track Canada would like to thank Parts Canada, Deeley Harley Davidson, Honda Canada, Suzuki Canada, Kawasaki Canada, Diesel Equipment Limited, Dunlop Tires, Klotz Canada, Inside Motorcycles, Grand River Powersports, Sturgess Cycle, Town Moto, and JD Graphics.